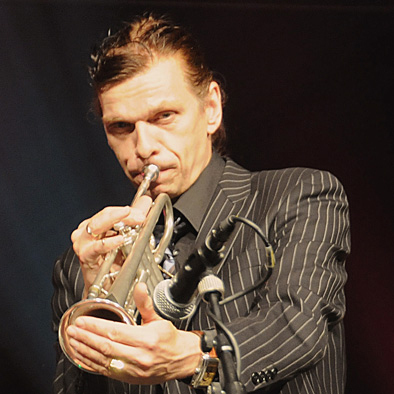 Norbert Susemihl's New Orleans All Stars was founded in 2006. An international band, including musicians from New Orleans, with a very high standard of musical quality, musicianship and feeling for the music. Right from the start, this ensemble has been praised for its festival performances. Italy, Malaysia, and to Preservation Hall in New Orleans. 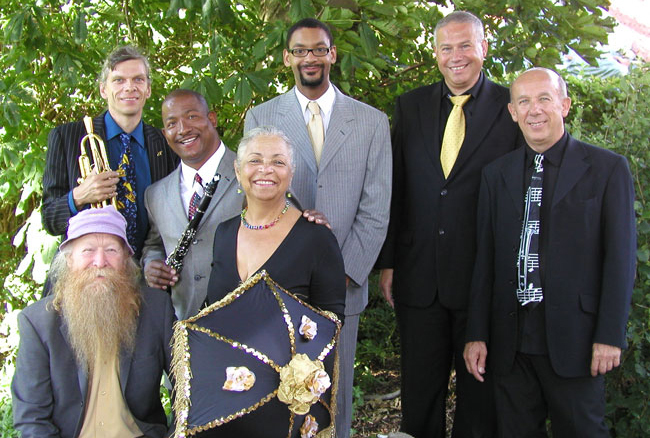 "The Sweetheart of New Orleans", is best known as one of the crescent city's premier musical ambassadors. 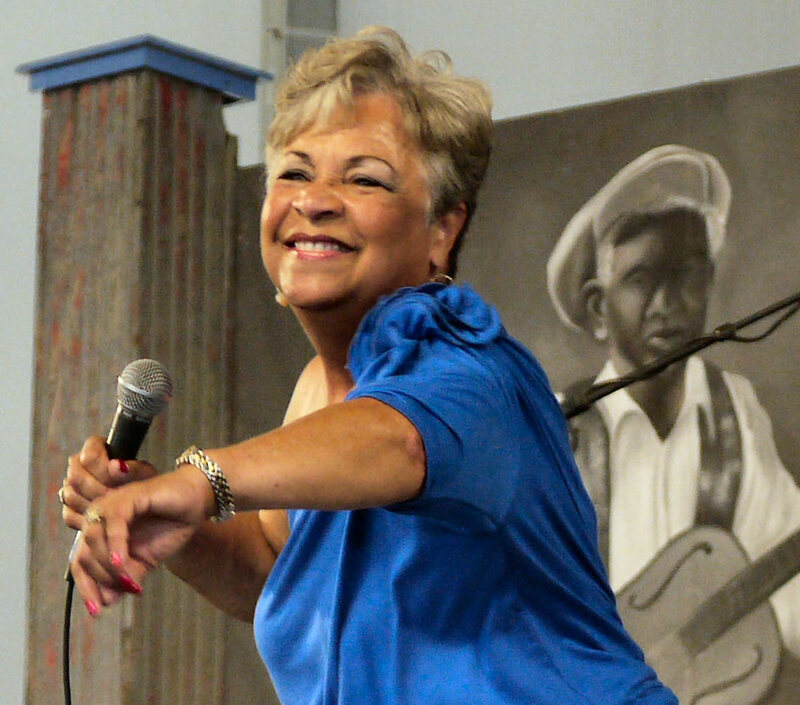 Wanda is usually seen leading her band, A TASTE OF NEW ORLEANS, as well as singing with other bands and orchestras, performing at night clubs, festivals, conventions, casinos, river boats and cruise ships. She has toured the United States, Australia, Europe, Brazil and Japan, taking her music all over the world. Wanda fuses Blues and Jazz, Gospel and Soul, into a "Jump on your feet and sing along" music, filling your heart and spirit. She has been greatly influenced by Ella Fitzgerald, Billie Holiday, Nancy Wilson, Etta James, Dinah Washington, Irma Thomas, and Mahalia Jackson. She also carries on the New Orleans tradition of leading Jazz Funerals and parades as Grand Marshal and Wanda is one of the few females to do so. She is a veteran performer of Vernel Bagneris' Musical "One Mo' Time". She was also recognized for performances in "My Name Is Alice", and the CAC's 1960's hit musical, "Where the Girls Were", where she regularly received standing ovations for her portrayal of Tina Turner. She portrayed Billie Holiday in "Lady Day" at Emerson's Bar and Grill with Ellis Marsalis, for which she received the Gambit's "Big Easy" Best Actress Award. She has also received a "Big Easy" award for Best Female Performer and continues to be recognized as one of New Orleans' treasures. 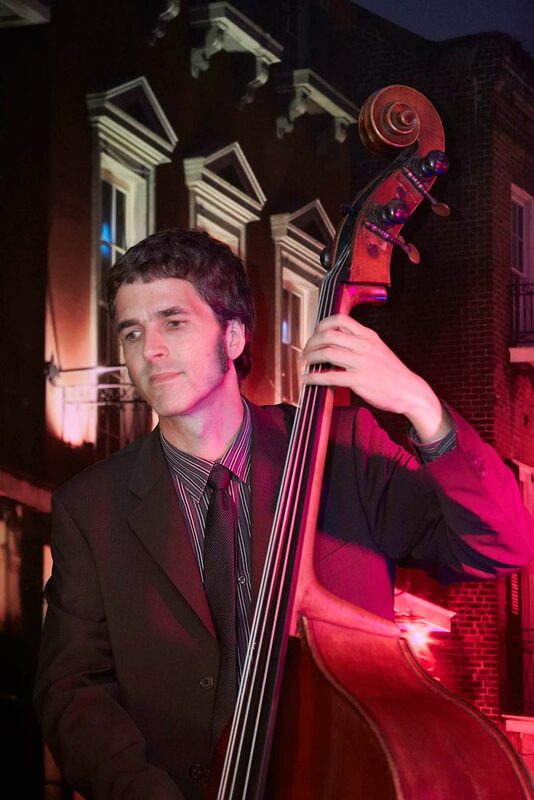 Considered an integral part of the Second New Orleans revival, Louis is a second-generation musician. His father, Clarence Ford, was a phenomenal musician whose career span three decades. He performed with many great entertainers and was considered the backbone of Fats Domino's band for over twenty years. Louis yields from an impressive legacy of musicians which can be traced back to the Storyville days. 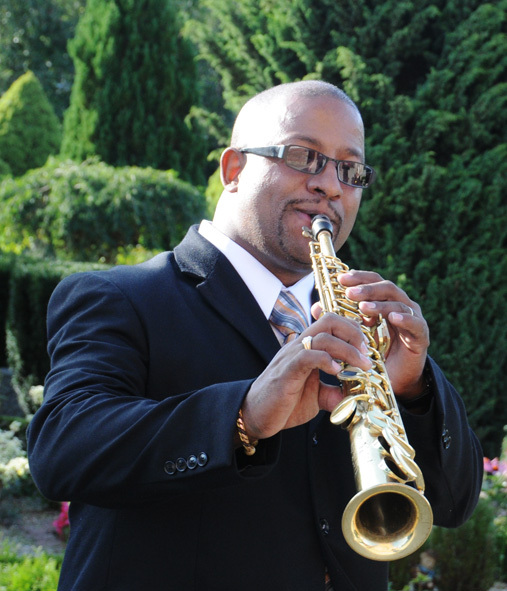 Louis is an accomplished clarinettist and saxophonist and truly dedicated to the preservation of jazz. Born and raised in New Orleans, Louis studied under Professor Kidd Jordan of Southern University in Music Performance. He graduated from Loyola University with a degree in music education which he has built on to create a unique sound that is all his own. Hans Ingelstam, born 1944 in Stockholm, Sweden, was as a teenager one of the leading youngsters driving the New Orleans revival wave in Stockholm, together with well-known personalities like Orange Kellin and Lars Edegran. At the age of 15 he played a couple of songs with George Lewis in Stockholm, and since then he has played with many visiting American musicians like Albert Nicholas, Bud Freeman, Doc Cheatham and Peanuts Hucko. He has played in leading Swedish bands like Jazz Doctors, Vieux Carre and Jazzin' Jacks, travelling all over the world including 14 tours in USA. 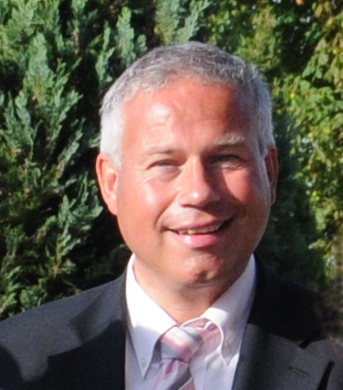 Currently, Hans shares his time mainly with Norbert Susemihl, Dixie For You (Danish and Swedish) and his own Quartet. Harry Kanters masters a repertoire, ranging from Ragtime and Harlem-Stride, to Swing and early Bebop. Harry has played with many jazz greats, among them Benny Waters, Doc Cheatham, and Slim Gaillard. In great demand as soloist with New Orleans, Swing and Mainstream bands, he is often invited for national and international jazz festivals, e.g. Ascona (CH) and Kobe (Japan) and has also performed in Qatar, Oman, California, Pennsylvania, Louisiana, Florida, Switzerland, Germany, France, Hungary and of course the Benelux. In the last few years he also became an arranger at many CD-recording sessions. 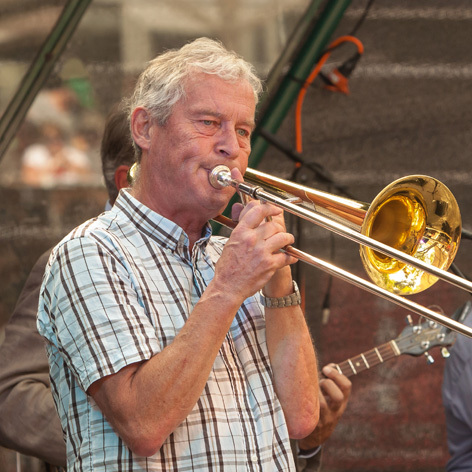 Although very active as a freelancer, Harry has been a regular member of several famous Dutch jazz formations. Orange Kellin may be best known for being one of the creative originators of the mega hit New Orleans stage musical "One Mo' Time", which toured the world, where he was musical director and clarinettist in the on-stage jazz band. 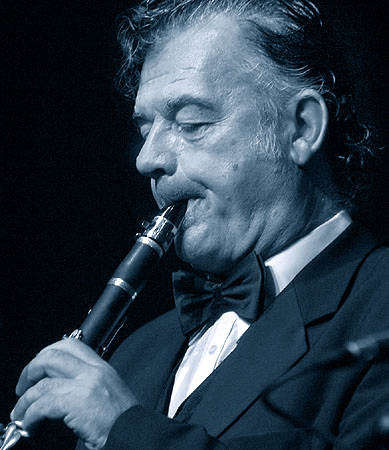 He has had a long and illustrious career, and has been distinguished as a leading jazz clarinettist, since his arrival in New Orleans, in 1966 from his native Sweden, where he made the first of a series of many recordings at age 17. He became a regular member of the "Preservation Hall Jazzband" and was a co-founder of the much recorded and highly respected "New Orleans Ragtime Orchestra", the "The New Orleans Joymakers", and "The New Orleans Blue Serenaders", all having toured extensively in the United States and Europe. Mr. Kellin also played and toured frequently with other jazz legends, like Earl Hines, Teddy Wilson, Ray Bauduc, Georg Brunis, Max Kaminsky and Zutty Singelton among others. A highlight was accompanying Louis Armstrong at Satchmo's 70th Birthday Concert at the Newport Jazz Festival in 1970. 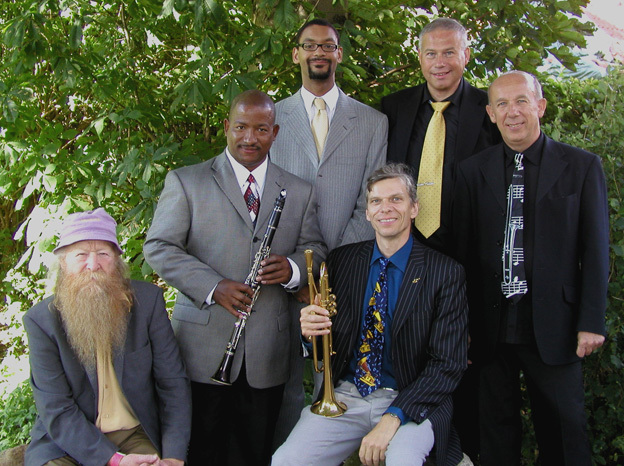 In 2004, Mr. Kellin organized his latest venture, the "Manhattan Ragtime Orchestra" which has held residencies at Manhattan supper clubs, and toured the US and Europe. Mr. Kellin has divided his time between New Orleans and New York City since 1979, keeping a residence in both cities. 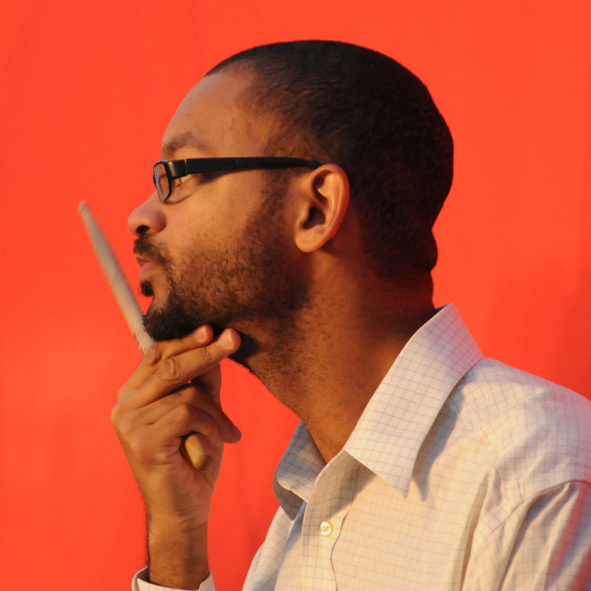 Herman LeBeaux is one of the outstanding drummers in New Orleans today. Percussionist, composer, arranger and educator, the New Orleans native has been on the music scene since the early 80's. Holding a Bachelor of Music degree of Xavier University and a Master's Degree of Music from the University of Massachusetts, Herman LeBeaux taught at Xavier University, SUNO, UNO, and Loyola Univeristy. 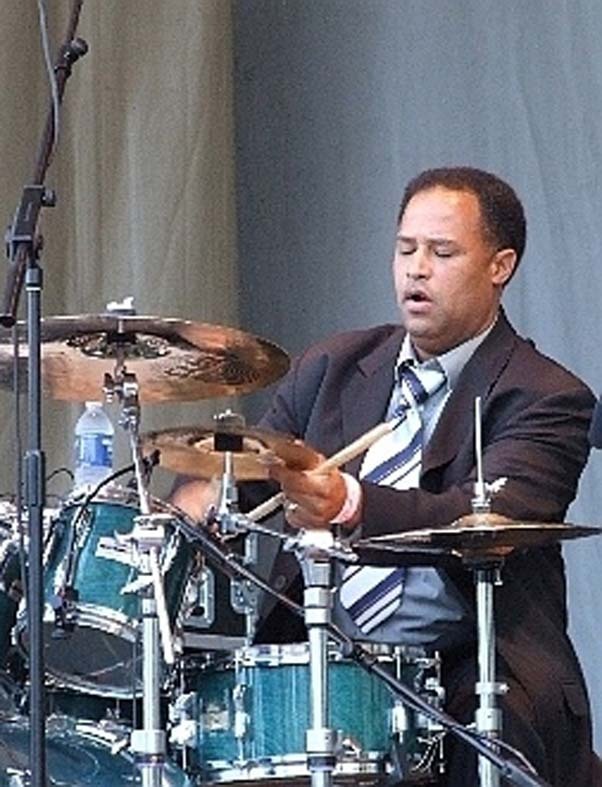 LeBeaux is performing with all the leading New Orleans Bands and vocalists like Dr. John, Wanda Rouzan, Fats Domino, and Irma Thomas, and he is currently the regular drummer with Allan Toussaint. He has travelled extensively both the U.S and abroad. Herman was cast as the drummer in the Ray Charles band in the Academy Award winning movie "Ray". His style is very versatile and swinging and ranges from Ragtime over Traditional to Swing, New Orleans Rhythm&Blues, and more. He is also widely recorded, and doing studio work besides his touring schedule. Born in Lüneburg near Hamburg in 1972, he began to play the electric bass in 1988 and after playing in several rock/pop bands, he discovered his interest in jazz and the double bass in 1990. From 1993 to 1998 Oliver studied at the Academy for Music and Theatre in Hannover, winning his first prize in the Academy's competition in 1995. From 1991 to 2003 he was a member of the Lüneburg big band "Blechschaden". In 1996 he joined "Norbert Susemihl's Arlington Annex", also recording with the band, which gave him a deep insight into New Orleans Music. CD productions and concerts, among others, with the "Jazz Haus Orchestra Hamburg", number among his other achievements. In addition, Oliver works as a studio and theatre musician in the Hamburg area. He is at home in many musical styles, and has played in several formations. He has a rich, strong and natural tone, and his virtuous and swinging playing gives the band a solid foundation and the possibility for a wide variety of musical expressions. John was brought up with music all around. By the age of 16 he had started playing along to musicians like Fats Waller, Albert Nichols, and Kid Ory. By the time he was 20, John was touring the United States. He spent a month in New Orleans and became influenced by what he heard whilst in America, playing with many well-known musicians. In Europe he became a protégé of Albert Nicholas, and they recorded an album together. Later he also took lessons from Barney Bigard whilst in the States in the 1970s. Back in England he played with many of the top British bands. He led his own Creole Jazz Band. In this time John also took up the tenor sax. In the 70s he was the featured reed player with Trevor Richards’s New Orleans Trio. The group toured internationally, and played for long periods in the United States. He also did various tours with American musicians, including Louis Nelson, Alton Purnell, and Freddy Kohlman. In the mid-1980s John joined Papa Bue’s Viking Jazz Band. He learned to speak Danish, and stayed for some twelve years until he became the clarinetist in the Chris Barber Band from 1998 till 2006. 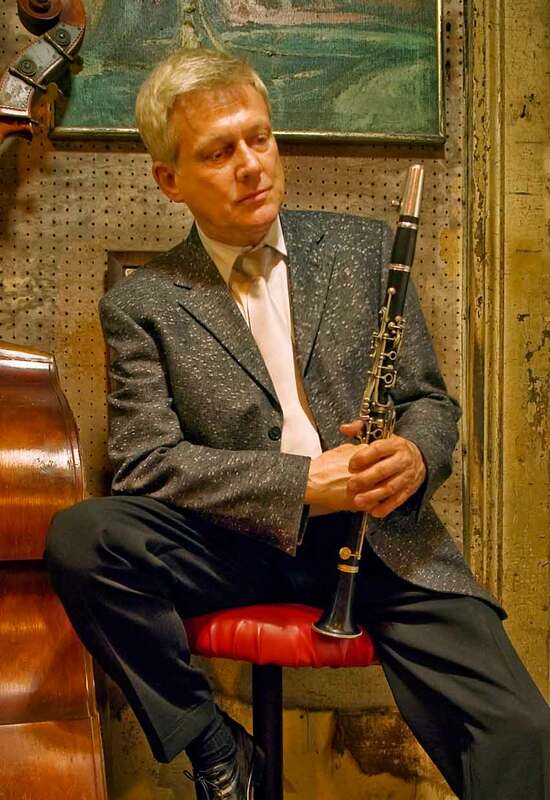 John Defferary is the top European reed player in the New Orleans style and he represents and continues the very special and lyrical sound of the New Orleans creole clarinet masters.